You must register & log in to access the Member Area. Click on "Register" below to initiate site registration. Your profile must be approved before you can log in. Registered members can log in and answer our poll. If you are not registered or have additional comments about the site, go to Contact Us and fill out the form to give us your feedback. The Kalkaska County Board of Commissioners has proposed removing Kalkaska County from the Point of Sale Septic System Evaluation program currently part of the District 10 Health Department Sanitary Code. (We have been referring to this as the repeal of the septic ordinance which is not actually a correct description.) The process for considering this proposal has been clarified. The Health Board that governs the District 10 Health Debarment must first hold a public hearing on this proposal. (The Health Board holds the hearing rather than the Board of Commissioners as we were originally told.) That hearing is scheduled for their regular meeting at 9:30 AM on Friday, April 26, 2019 at their office at 521 Cobbs Street, Cadillac, MI 49601. Actual time when they will hold the hearing during that meeting is unknown. If the Health Board subsequently decides to proceed with this proposal, the Boards of Commissioners of all ten counties that comprise District 10 must also approve the change before it can take effect. Michigan’s Natural Resources and Environmental Protection Act (Act 451 of 1994) Part 413 has recently been amended with changes for boaters and anglers that take effect March 21st, 2019. The changes are intended to strengthen protection for Michigan waterways against the introduction and spread of aquatic invasive species. A person shall not release bait fish in any waters of this state. A person who collects fish shall not use the fish as bait or cut bait except in the inland lake, stream, or Great Lake where the fish was caught, or in a connecting waterway of the inland lake, stream, or Great Lake where the fish was caught if the fish could freely move between the original location of capture and the location of release. A person, who catches fish other than bait fish in a lake, stream, Great Lake, or connecting waterway shall only release the fish in the lake, stream, or Great Lake where the fish was caught, or in a connecting waterway of the lake, stream, or Great Lake where the fish was caught if the fish could freely move between the original location of capture and the location of release. The Kalkaska County Board of Commissioners is considering repealing the point of sale (POS) septic ordinance that was amended into the District 10 Health Department Health Code in 2009. This ordinance requires inspection and correction of inadequate or failing septic systems at the time of sale of a home. The Manistee Lake Association and many area citizens worked hard to get this ordinance added to the Health Code in order to protect our ground and surface waters and the public health from the significant threats posed by inadequate septic systems. Since Michigan does not have a uniform septic system law, the local health department sanitary codes are the only regulatory tool available to address this problem. An in depth study by Michigan State University revealed, of the more than 1.3 million septic systems in use in Michigan, as many as 10% are failing to properly treat waste water, allowing for the potential contamination of our ground and surface waters by dangerous pathogens and other contaminants. Repealing this ordinance would remove the only regulatory protection that exists to address this threat. Gary Salisbury, President of the Manistee Lake Association, with the approval of the MLA Board of Directors has sent the following letter to the county Board of Commissioners expressing the MLA’s opposition to this action. In addition, several citizens have already commented to the Board of Commissioners about this matter and other local citizens and organizations who share our concerns over this matter have or will soon be voicing their opposition to repealing this ordinance. As President of the Manistee Lake Association, the Board of Directors has authorized me to send this letter to the Kalkaska County Board of Commissioners on their behalf. We are concerned that the Kalkaska County Board of Commissioners is contemplating rescinding the current ordinance that requires inspection and correction of inadequate septic systems at the point of sale. We are adamantly against this change. The Manistee Lake Association has long been a steward in protecting our lake and its watershed. To repeal this ordinance would mean that we have taken a negative step in preserving our ground and surface waters. The Manistee Lake Association along with many other concerned citizens worked long and hard to see this ordinance added to the District Health Code. We don’t want to see all that work and effort tossed aside. There remain many homes on the lake and elsewhere in the County that do not have adequate septic systems, and some continue to use dry wells. Our water table is such that contaminants and pathogen containing sewage will leach into the lake and its watershed. We cannot hope to have usable clean water without the proper laws and ordinances to help protect it. Eliminating this ordinance will remove the only protection now in place to protect the public health and environment from the threats posed by inadequate septic systems. This is totally unacceptable. 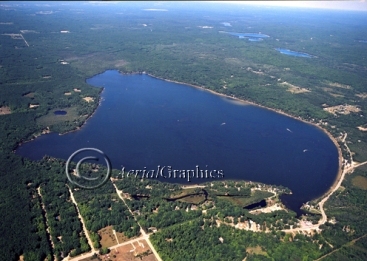 The Manistee Lake Association is dedicated to the preservation and improvement of the lake and its watershed for residents and future generations. Retaining this ordinance is an important component of that mission. We understand that Kalkaska County must hold a public hearing before the ordinance can be repealed. Because we have many members who want to address the Board on this matter but are out of state during the winter months, we request any such hearing not be held until our members return to Michigan. We also request that we receive notice from the Board of Commissioners when such hearing is scheduled so we can ensure that our members are aware of the time and place so they can make their feelings known about this proposal. The County Board of Commissioners must hold a public hearing on this proposal before they can take any action to repeal the ordinance. In fact, since it took all ten counties that make up the District 10 Health Department to approve adding it to the Health Code, all ten Boards of Commissioners must approve its repeal. Since it is important that the County Board hear a loud and consistent voice from all those concerned about this action, every individual who wants to see this ordinance retained is encouraged to make your voice heard through direct contact with our County Board of Commissioners, as well as the Boards of the other nine counties, and at the public hearing, once it is scheduled. We have asked the Board to delay any such hearing until such time as many of you return from your winter homes. We will keep you informed on this matter through the MLA web site, email blasts and the MLA Facebook page. If you have any questions about this feel free to contact President Gray Salisbury or other local residents currently involved including Seth Phillips and Shug Brandell. Welcome to the new and improved Manistee Lake Association web site. We hope you like the look and the many additional features. We have tried to make the site far more useful as a source of information and communication. Many of the features are in the members only area so we encourage everyone to become a member and to register for the member area. Access is free to MLA members. Members please make sure to update your member information so we have current contact information for you. If you are a new resident who does not receive our newsletter, please give us your contact information so we can add you to our database. Just click on the contact us link under website feedback on the lower right of this page and submit your information. We invite comments and suggestions to improve the site as well. We want to make this site as useful and user friendly as we can. We have tried to minimize some features to lessen download times for those of you with slower internet connections. We will continue to add information to the site and to improve features as we go so please check back often and let us know what you think. I hope you enjoy our new home on the web. Spread the word around. Manistee Lake can always use more friends. 1. Don’t use lawn fertilizer or weed killer. droppings are high in nutrients and may cause swimmer’s itch. 5. Don’t burn leaves and grass clippings near the shoreline. Nutrients concentrate in the ash and can easily wash into the lake. nuisance geese from frequenting your property. 9. Have your septic tank pumped every 2 to 3 years.